NOW SOLD - SIMILAR REQUIRED. 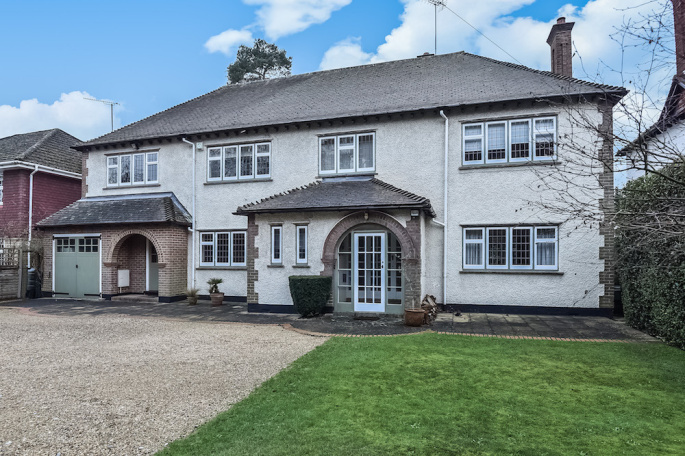 A traditional Gerrards Cross home with five double bedrooms, three bath/shower rooms, three large reception rooms and a 98' x 62' rear garden. The property has retained many original features such as picture rails, a working fireplace and internal doors. 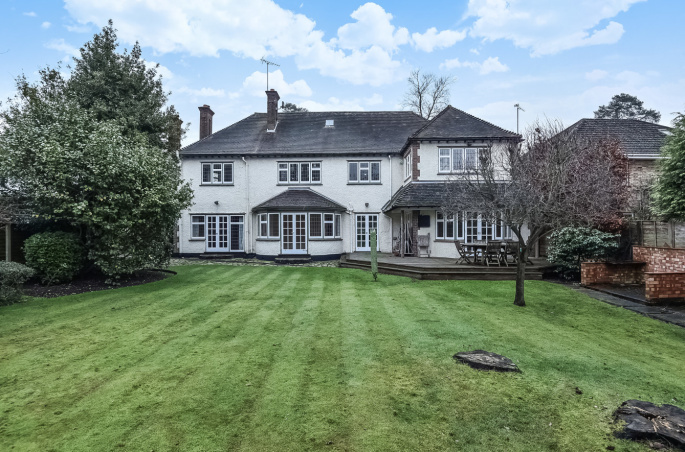 It is located approximately 1 mile from the village centre and is even closer to the highly regarded Moreland Drive School and the woodland and open spaces of Gerrards Cross Common. 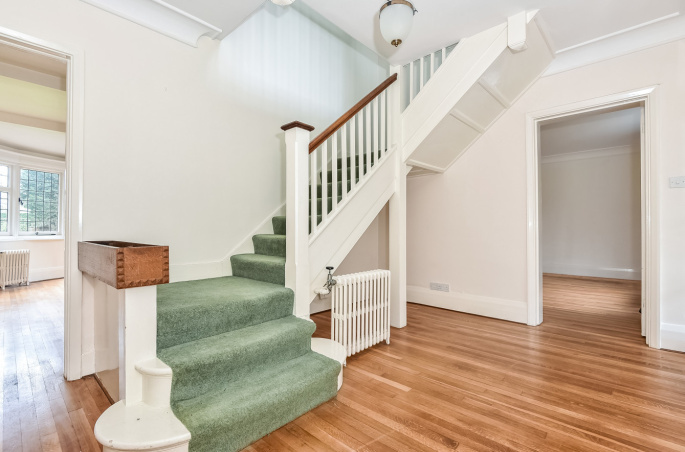 The house has five double bedrooms, three bath/shower rooms and a similarly generous ground floor with three superb reception rooms and a spacious kitchen/breakfast room. This characterful and in our opinion, pretty house is first approached via an electrically operated five bar gate to the level driveway, the garage and an attractive lawned area of front garden complete with high hedging and two silver birch trees. The house itself is approached via an enclosed entrance porch with a stone floor with a further inner door to the reception hall. 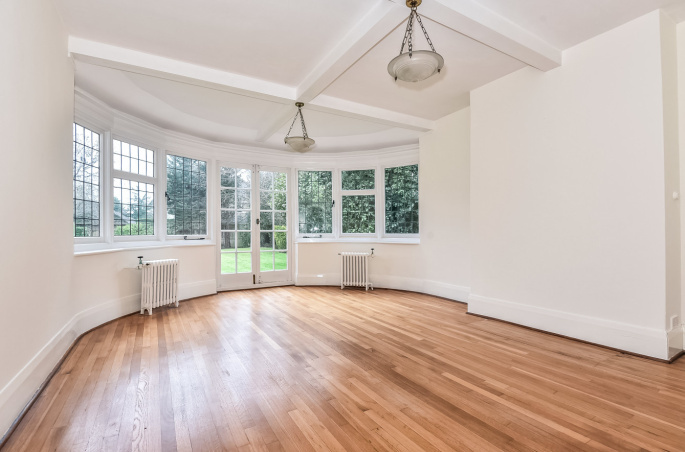 This features polished wood flooring which is also laid to the drawing room and the dining room, with the stairs leading to the first floor. 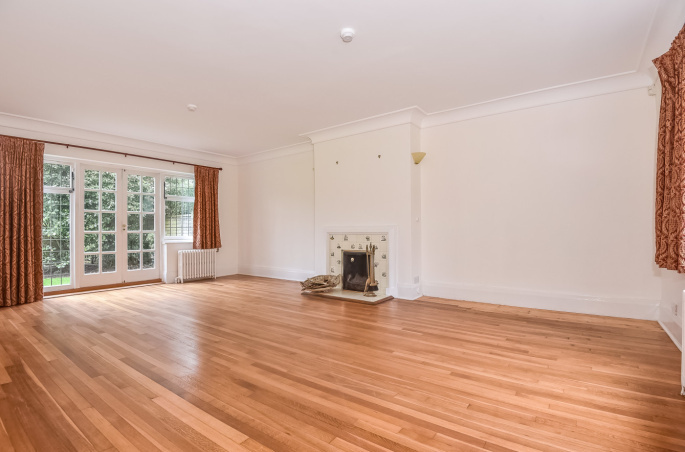 To the right there is the double aspect drawing room with attractive and tiled working fireplace. There are casement doors leading out to the rear garden and a full width of window. The separate dining room is a particularly elegant room with a crescent shaped bay with doors leading to the rear garden. 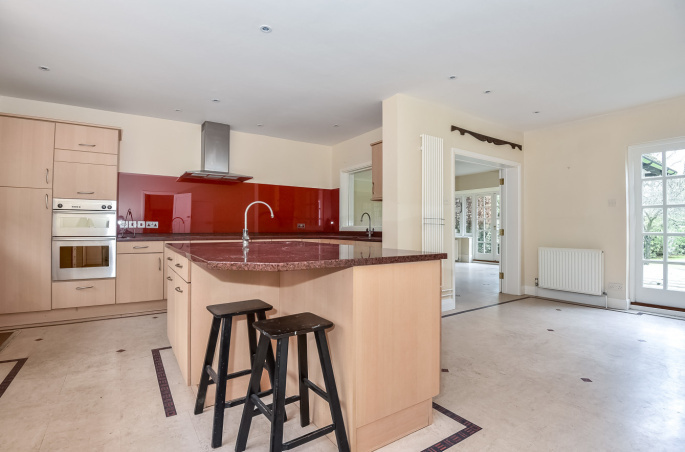 The kitchen has an extensive range of maple wood style units, granite work surfaces and a central island complete with second sink and breakfast bar. There is also a generous larder cupboard and a door leading out to the garden. The 18'5'' x 16' family room is a superb space and leads off the kitchen. It is a generous and adaptable living space. Like the other reception rooms there access out to the garden. 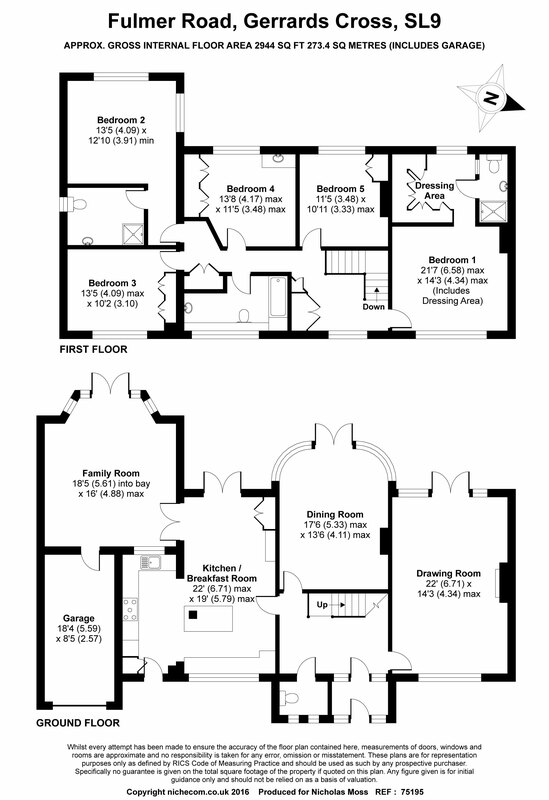 On the first floor there are five double bedrooms and three bath/shower rooms. The master bedroom has a distinct dressing area and a shower room. The four further bedrooms are all bright and spacious, each with their own distinct character. The large loft space is also worthy of note and may subject to planning and suitability be convertible to create yet more living or bedroom space. The rear garden is level and private and features a paved patio, a shaped and well tended lawn and an attractive deck. Overall the rear garden measures in excess of 98' x 62' and enjoys a high degree of privacy and seclusion. "Nickâ€™s hands on and bespoke estate agency service has been invaluable to us. He has taken a lot of stress out of the process in a way that other estate agents cannot match. 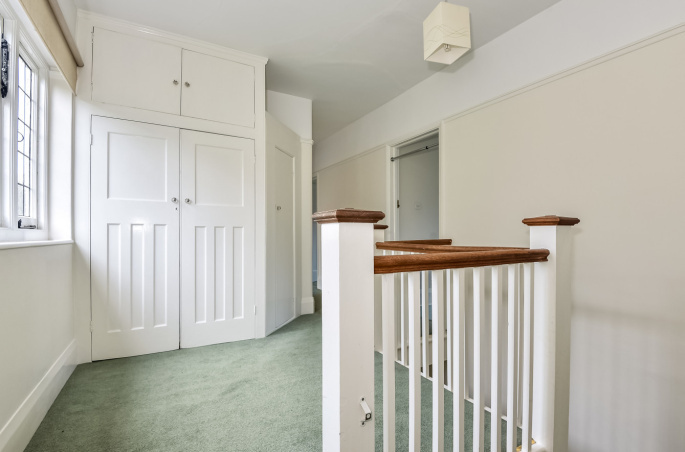 We are delighted with the price achieved and Nickâ€™s great attention to detail throughout."